For years, teachers and staff at Franklin Pierce Elementary School had pondered why their school name celebrated an anti-abolitionist president who continually bowed to pro-slavery interests in the years leading up the American Civil War. A one-term Democrat from New Hampshire, Franklin Pierce is often considered to be one of the least consequential and least memorable U.S. presidents. He was on the wrong side of the country’s slavery debate at a dangerously divisive time in U.S. history and believed the right to own slaves was recognized by the U.S. Constitution. So, to some, it’s baffling that a Milwaukee academic institution — especially one that served such an ethnically diverse student population — would also bear his name. “Right when I started teaching at Pierce I looked up Franklin Pierce and never liked what he stood for, a proponent of slavery,” said Ellen Evans, a third-grade teacher who’s been with the school for 23 years. But, that’s not the case any longer. Earlier this fall, the Milwaukee public school, 2765 N. Fratney St., elected to rid its moniker of its namesake, rebranding to Riverwest Elementary School in honor of the neighborhood it resides in. 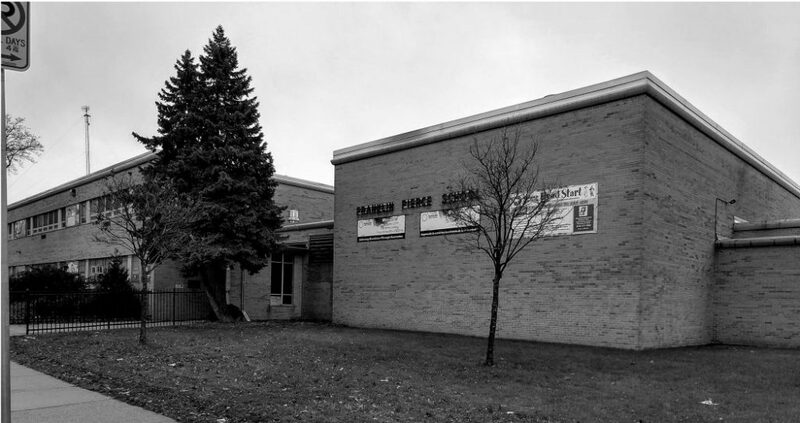 While the words “Franklin Pierce Elementary School” may still be brandished on the building’s facade, the institution is no longer formally associated with the epithet. The name change became official Sept. 27, said Riverwest Elementary principal Leticia Washington. “With our student makeup and our staff beliefs, we just felt that his name shouldn’t be (our) school name,” Washington said about the 14th president. Historians often consider Pierce’s legacy to be a lackluster one, tinged with pro-slavery sentiment and blunders like the Kansas-Nebraska Act, which essentially repealed the Missouri Compromise that had banned slavery in all U.S. territory above the 36°30’ latitude line. That piece of legislation eventually transformed Kansas into a brutal battleground, sparking a violent series of escapades coined ‘Bleeding Kansas,’ in which pro-slavery and anti-slavery groups fought it out to decide whether the new state would permit or prohibit involuntary servitude. Those pro-slavery beliefs have obviously never aligned with the convictions of the school or staff; and when Washington first began her role as principal three years ago, she was encouraged by then-superintendent Darienne Driver to pursue a new denomination. So — following years of discussion amongst staff about the name’s incompatibility — the administration formally looked into the prospect of rebranding and conducted a survey last spring to gauge the opinion of students, teachers, staff and local residents. Support for the switch to Riverwest Elementary was enthusiastic: Of the 350 people polled, 245 approved the new moniker. Another 99 wanted to shorten it to Pierce Elementary, and only one person wanted to keep the name in full as Franklin Pierce Elementary. The people had spoken: Franklin Pierce Elementary was out. Riverwest Elementary is in. In a nationwide trend, universities, school and government institutions have been dismantling Confederate statues, removing flags and renaming buildings that have ties to individuals and families who were complicit in perpetuating slavery. In the last three years, Confederate statues have been removed in cities like Baltimore, Lexington, K.Y., and New Orleans. Likewise, schools such as the State University of New York at New Paltz are reexamining the namesakes of their facilities and contemplating cutting any ties with those that may have owned slaves or contributed to slavery’s continued existence. But while this trend is playing out on a larger stage, Washington noted the step away from Franklin Pierce wasn’t a byproduct of the national conversation. Rather, the decision to change the name was “local and us-based,” she said, noting that the decision to take on a new name was rooted in a community dialogue about the disconnect between what Franklin Pierce represented, and what and who the school represents. “There’s a new excitement around saying our name and being proud of our name,” she said. School administrators also view the switchover to Riverwest Elementary as a way to further weave itself into the fabric of the neighborhood and as a means to attract new students. Whereas the school’s previous name may have shone a light on a bigoted president, the new name celebrates the school’s neighborhood. The school’s roots in Riverwest are deep. Many of the staff have neighborhood ties; and the school has forged meaningful relationships with local business and organizations, Washington said. Woodland Pattern Book Center, Riverwest Neighborhood Association and Victory Garden Initiative, among others, are just a sampling of groups the school calls its partners. Further, Riverwest Elementary is hoping to bolster the number of nearby and neighborhood children who attend the school; and Washington views the rebranding as one means to achieve that goal. There have been a few who have vocalized their opposition to the change, including alumni upset over the renaming of their childhood school, Washington said. 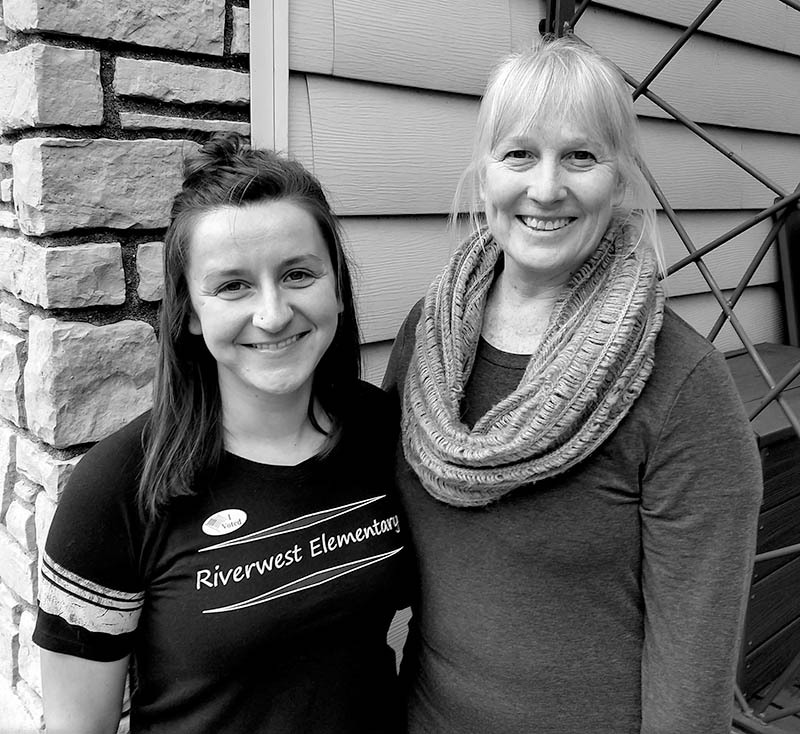 But, overall, the buzz is overwhelmingly strong for the switch to Riverwest Elementary — especially among community members and staff — and for the new chapter that it represents. The Franklin Pierce Elementary School sign will soon be dismantled and replaced with a new placard in the coming months.